Getting started with HYDRA is simple – just import your current inventory and launch your sales. HYDRA removes manual work processing orders and streamlines delivery. HYDRA lets you know when you need to restock and lets you easily track the success of your business. 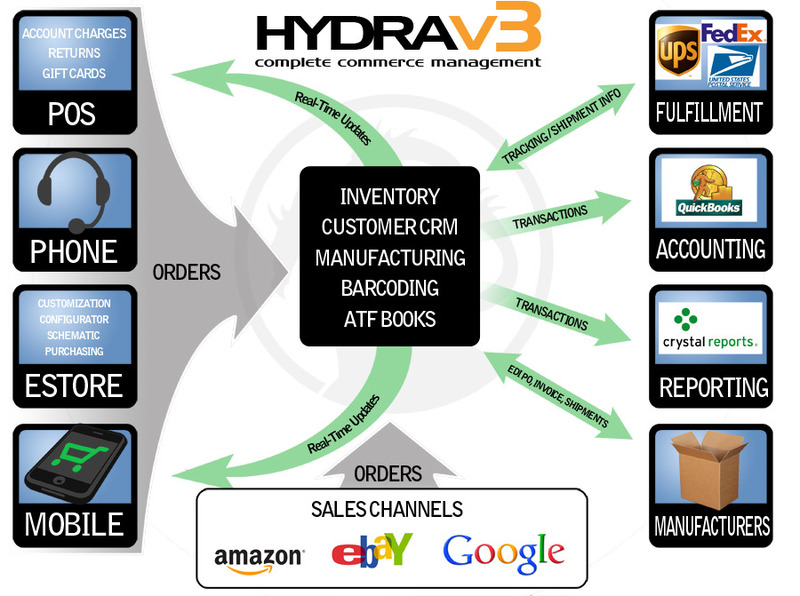 HYDRA Complete Commerce Management is a comprehensive solution for your business, delivered as a hosted application. This means there is no large up-front investment, no time consuming development effort, and no long-term commitment.